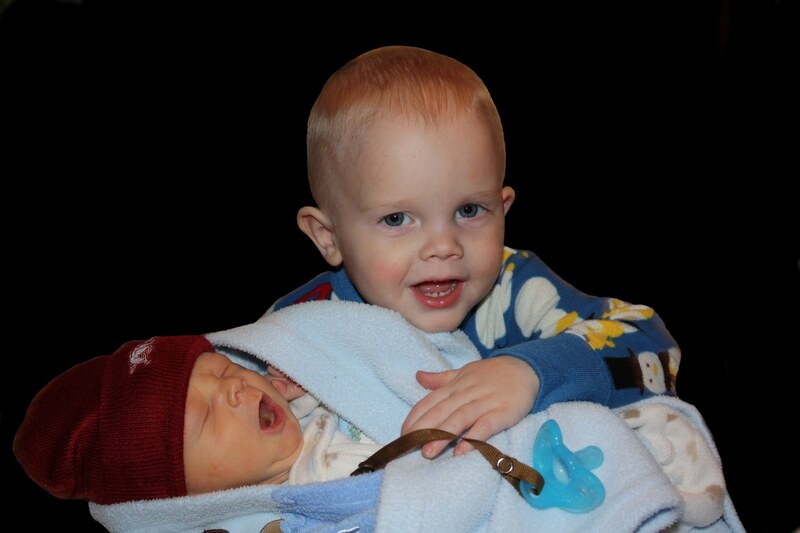 We let Brayden hold Brody the other night since he is just so in love with his baby brother! I've gotten a lot of messages asking for new pics - I'm trying to keep up I just don't have as much time as I used to to upload my camera and sort out the pictures! Also, I need to make a note for myself since I don't scrapbook, and I use this blog to document everything...Brody rolled from tummy to back at 9 days old and again at 10 days old! He hates tummy time and apparently will do anything to avoid it.